My name is Willeke. I am a daughter, sister, aunt, niece, sister-in-law, cousin, granddaughter and simply a part of a special family. I am, however, also an individual. I am passionate, caring, goofy, alternative, tenacious and inquisitive. I love writing, quiet spaces, history, psychology, helping others, the English language, photography, dogs, laughing, reading newspapers, animals, books, rugby, watching television and coffee. I studied library sciences and counselling with merit. I loved working hard. I loved working, period. 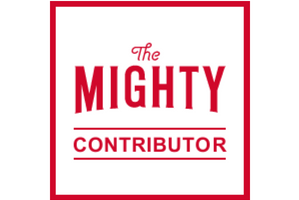 I write my own blog as well as on other people’s blogs. 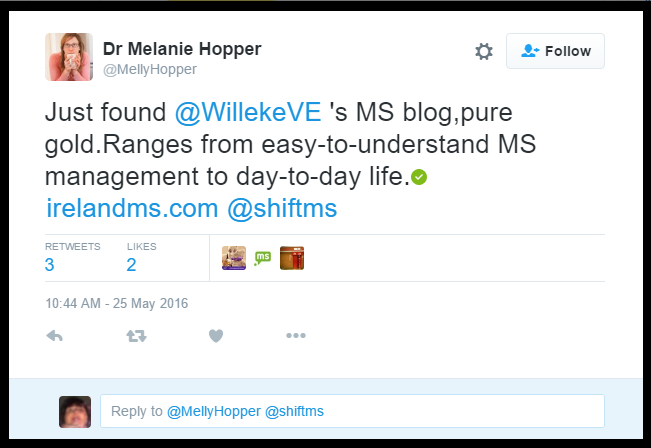 I am a volunteer spokesperson for the Irish MS Society, and advocate better neurological services in Ireland in general. As you can tell, I have lots that strengthen me and drives me forward. 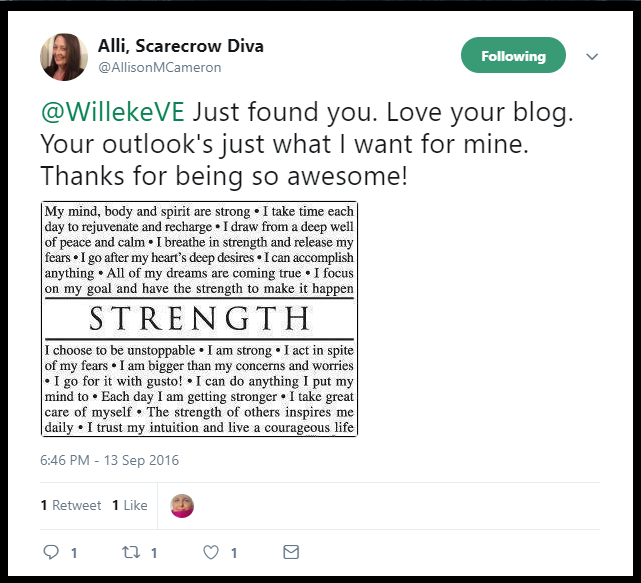 I also have (dis)abilities: severe bouts of pain and fatigue, which I bent into a positive writing tool for others to lean on. My limitations serve as other people’s motivation. Their motivation became my inspiration. I am an individual with many things to cherish. In 2005, I found out I have multiple sclerosis, main symptoms severe fatigue, neuropathic pain, trigeminal neuralgia as well as other symptoms. End date unknown, and in the meantime, I live in hope. It’s a much-talked-about, ongoing topic for people with multiple sclerosis. Every single one of us has lived the same misunderstanding, ignorance and irritation, which was once again talked about at a conference in Lisbon. If you have an invisible, chronic illness, it’s never too far from your daily life. What others might perceive as you being overly sensitive, you know all too well that what you are going through, is real. But however real it is, don’t let it define you. People who know me, know the saying I live by. “When I go outside, I always make sure I don’t look ill.” Fake tan to hide dark circles under my eyes, hair nicely cut, contact lenses, lots of medication that keeps me up for now, and even more rest before and after events. Pride runs in my family from my grandmother to my own mum to me. Because of all this, I have seen doubt in people’s minds when I tell them I have MS, or disbelief because I cannot do the things I used to do anymore. Still, I am an individual. I am not my illness. Not too long ago, I said: “I am not defined by MS. I define myself instead.” I continue to live by that rule as a strong person, and I always will. I hate pity. As soon as I sense as much as one syllable that resembles pity, I say that I am just fine, even when I’m falling over from pain and fatigue. I don’t negatively label myself as “patient, sufferer, survivor” or other words that might weaken my strength and individuality. I am not my illness, I am an individual. If/when I advocate for others with MS, or if/when I’m asked to join conferences, meetings and anything else to help others with MS, I am not letting my illness consume me. When chronic pain, fatigue, early retirement and MS doesn’t define me, lobbying and advocating for others becomes very easy. When I volunteer for others, I don’t even think of my own illness or fate. Many of my friends advocate and lobby also, and many times we talk about situations I just wrote about. Because we are often more judged by others than we are by ourselves, we sometimes find it hard when we’re not believed, when our motives are questioned. The heart of the matter is this: we will simply not be labelled. We use what we know best to help others on the same path of experience, of life. What people think is their problem. When they blame you, when they take your identity away, calling you names because “you’re not like you used to be anymore,” all that says a lot more about them than it says about you. 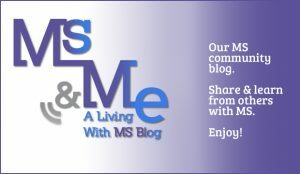 MS is not our fault, we are not our illness and it definitely does NOT define us. What we have done is accept our illness in our lives. We’re individuals, and we are real. ©Willeke Van Eeckhoutte and Ireland, Multiple Sclerosis & Me, 2011-2014. Unauthorised use and/or duplication of this material without express and written permission from this blog’s author and/or owner are strictly prohibited. 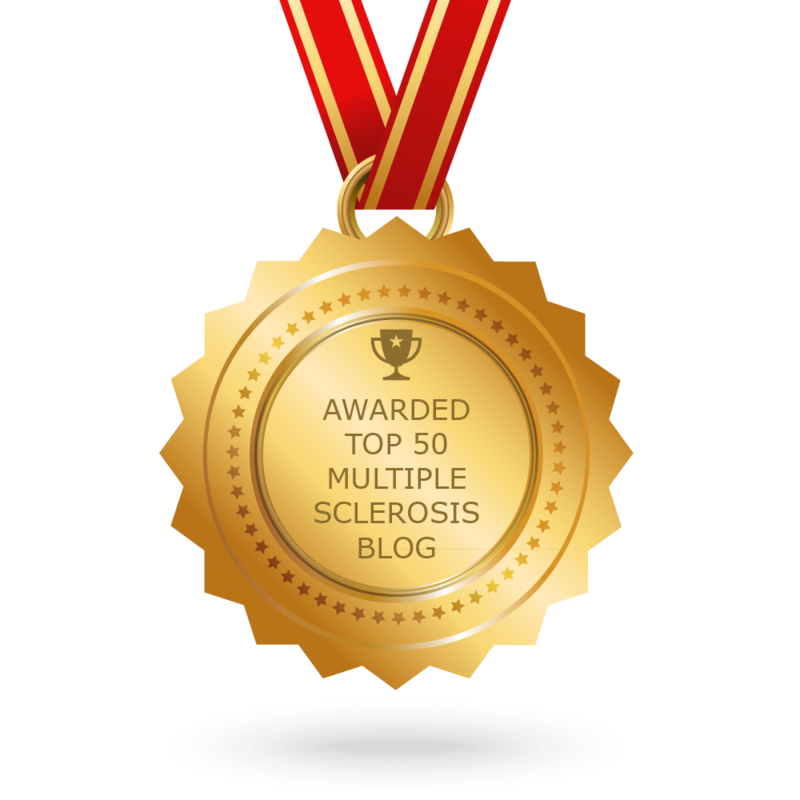 Excerpts and links may be used, provided that full and clear credit is given to Willeke Van Eeckhoutte and Ireland, Multiple Sclerosis & Me with appropriate and specific direction to the original content. Irish public transport: access all areas? I can understand the fake tan. Love the sun for its Vitamin D but also cause it gives me a bit of colour and takes away the sickly look of winter. Real men don’t do fake tan.